Description: SSO6405 conveyor belt width: 25.2” table overall length: 107.5”. 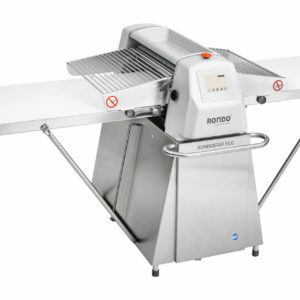 The Rondomat is the right dough sheeter for small to medium-sized bakeries. It features a rugged and ergonomic design. 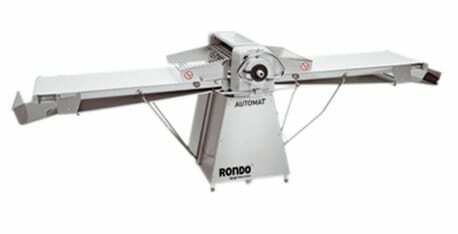 With the Rondomat, you process all types of dough gently to form consistent blocks and bands of dough. 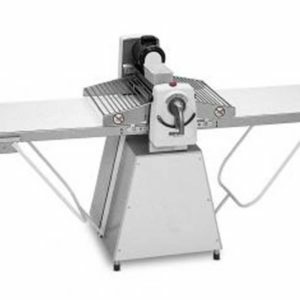 The working width of 650 mm even allows you to feed cutting tables, croissant machines and small make-up lines.